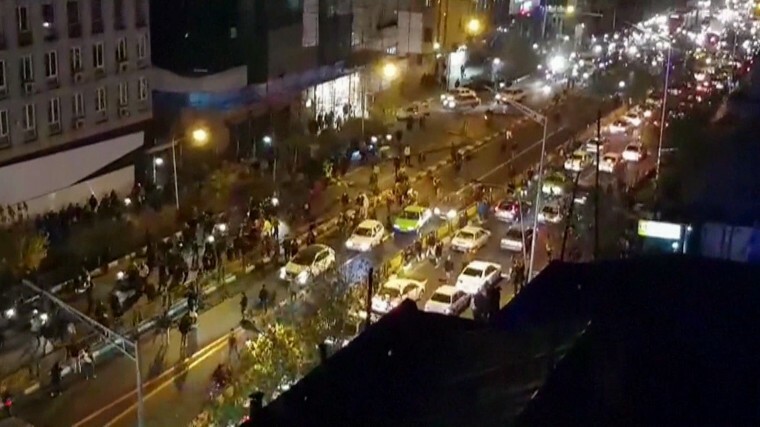 TEHRAN, Iran — At least 12 people have been killed in the ongoing demonstrations in Iran, and armed protesters have tried to take over police stations and military bases, state TV reported Monday. The rallies began Thursday in Mashhad over economic issues and have since expanded to several cities, with some protesters chanting against the government and the supreme leader, Ayatollah Ali Khamenei. Hundreds of people have been arrested. On Sunday, Iran blocked access to Instagram and the popular messaging app Telegram used by activists to organize. President Hassan Rouhani acknowledged the public's anger over the Islamic republic's flagging economy, though he and others warned that the government wouldn't hesitate to crack down on those it considers lawbreakers. How do protests in Iran differ from 2009?